An international team of scientists, led by researchers from the Department of Pediatrics at the University of California, San Diego School of Medicine, have identified the first reported inhibitors of a key enzyme involved in survival of the parasite responsible for malaria. Their findings, which may provide the basis for anti-malarial drug development, are currently published in the online version of the Journal of Medicinal Chemistry. 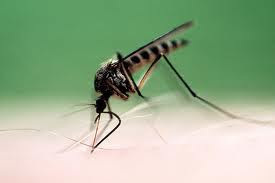 Tropical malaria is responsible for more than 1.2 million deaths annually. Severe forms of the disease are mainly caused by the parasite Plasmodium falciparum, transmitted to humans by female Anopheles mosquitoes. Malaria eradication has not been possible due to the lack of vaccines and the parasite’s ability to develop resistance to most drugs. The researchers conducted high-throughput screening of nearly 350,000 compounds in the National Institutes of Health’s Molecular Libraries Small Molecule Repository (MLSMR) to identify compounds that inhibit an enzyme which plays an important role in parasite development: Plasmodium falciparum glucose-6-phosphate dehydrogenase (PfG6PD) is essential for proliferating and propagating P. falciparum. “The enzyme G6PD catalyzes an initial step in a process that protects the malaria parasite from oxidative stress in red blood cells, creating an environment in which the parasite survives,” said senior author Lars Bode, PhD, assistant professor in the UCSD Department of Pediatrics, Division of Neonatology and the Division of Gastroenterology, Hepatology and Nutrition. People with a natural deficiency in this enzyme are protected from malaria and its deadly symptoms, an observation that triggered the reported research. The parasitic form of the enzyme (PfG6PD) is what contributes the majority of G6PD activity in infected red blood cells. Because the parasite lives in the blood of a malaria-infected person, the scientists aimed at identifying compounds that inhibit the parasitic form but not the human form of the enzyme. “We didn't want to interfere with the human form of the enzyme and risk potential side effects,” Bode explained. Scientific testing had previously been limited by a lack of recombinant PfG6PD. Team members in the lab of Katja Becker, PhD, at the Interdisciplinary Research Center at Justus-Liebig-University in Giessen, Germany produced the first complete and functional recombinant PfG6PD, and researchers led by Anthony Pinkerton, PhD, at Sanford-Burnham Medical Research Institute used it to identify the lead compound resulting from their efforts, ML276. ML276 represents the first reported selective PfG6PD inhibitor, which stops the growth of malaria parasites in cultured red blood cells – even those parasites that developed resistance to currently available drugs. “ML276 is a very promising basis for future drug design of new anti-malarial therapeutics,” said Bode. Contributors to the study include Janina Preuss, UC San Diego, Justus-Liebig-University and Sanford-Burnham Medical Research Institute; Esther Jortzik, Stefan Rahlfs and Katja Becker, Justus-Liebig-University; Patrick Maloney, Satyamaheshwar Peddibhotla, Paul Hershberger, Eliot Sugarman, Becky Hood, Eigo Suyama, Kevin Nguyen, Stefan Vasile, Arianna Mangravita-Novo, Michael Vicchiarelli, Danielle McAnally, Layton H. Smith. Gregory P. Roth, Michael P. Hedrick, Palak Gosalia, Monika Milewski, Yujie Linda Li, Eduard Sergienko, Jena Diwan, Thomas D.Y. Chung, and Anthony B. Pinkerton, Sanford-Burnham. The study was supported by the National Institutes of Health (1R21AI082434), the Deutsche Forschungsgemeinschaft, and an NIH Molecular Libraries grant (U54 HG005033) to the Conrad Prebys Center for Chemical Genomics at Sanford Burnham Medical Research Institute, one of the comprehensive centers of the NIH Molecular Libraries Probe Production Centers Network (MLPCN).